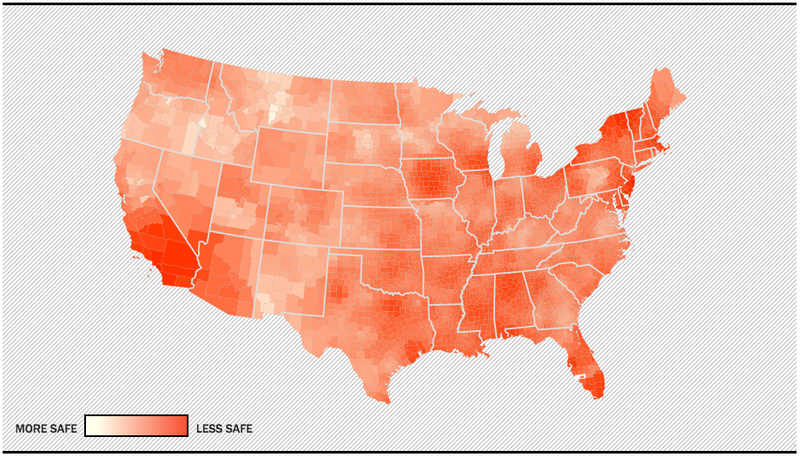 Safest Counties from Naural Disasters in U.S.
How likely is a Solar Superstorm or EMP Attack? I have been reading your website for a few years. Money is tight and I thought whatever was on the website was the same as your book. My wife gave me Your survival manual for Christmas. I was mistaken about the book. I highly recommend it to regular web viewers. I am now giving it a second reading. I notice no pepper spray in you ECD. Why not and what do you think? Please address your view of US states for relocation? Still deciding On body armor and would welcome a video. Also would like to hear of religion as relating to modern survival. Thanks! I’m glad you like my book and thanks for recommending it. In my book, “The Modern Survival Manual: Surviving the Economic Collapse”, I do go into more detail on each topic in ways I can’t simply address in a 10 minute video or a blog post. My books are the best tools I have so as to share my knowledge and experience with you. Although I cover numerous topics in my website and youtube channel, it really doesn’t replace either one of my books. About pepper spray, whenever I’m in a country that I can carry it, I will do so. OC spray is a great tool for self-defense, even when carrying a firearm. 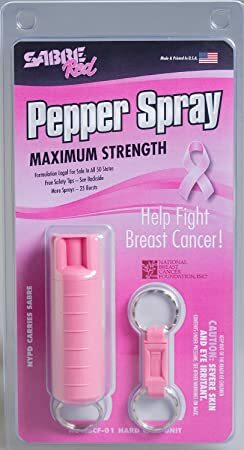 Pepper Spray gives you a non-lethal option to work with and avoids bringing a lethal weapon into the equation and potentially escalating the violence without need. Pepper spray is a powerful tool on its own right. It can catch an attacker by surprise, turning the surprise factor against him, it burns, blinds and makes it hard to breathe. All this can be used to escape and put more ground between you and your attacker. For the money that it costs, well under 10 bucks in some cases, it’s a no brainer. Pepper Spray makes a lot of sense both for men and women, armed or unarmed. Regarding the best States to live in, that’s something that I address in “Bugging Out and Relocating”. I recommend countries, U.S. States as well as strategies both for quickly bugging out or relocating or bugging out abroad due to a large scale disaster. In my book I mention Texas and Colorado among my top choices, but to be honest most States in The United States have areas that can work very well. Keep in mind that the network of friends and family is of great importance and you shouldn’t be too quick to sacrifice it. Body armor is important to own. It gives you a great tactical advantage and its literally a life saver. If you have a few seconds to put it on, you’ll be glad you bought it. About religion and preparedness, I’m actually working on my third book and it does cover that in a chapter to some extent. I’ll keep you guys posted! My county in California is starting to issue concealed carry permits. However, magazines with more than 10 rounds are illegal. What concealed carry handgun would you recommend with that restriction in mind? First of all, congratulations on the good news. Whenever you can legally do so, you should get your concealed carry permit and carry a firearm. It´s important to get proper training before doing so, but you should exercise your right to be armed and capable of defending yourself and your loved ones whenever possible. Regarding your question, 10 rounds isnt that bad. It would be better to have full magazine capacity, but with 10 rounds you can still do plenty, especially given that you can carry other spare magazines. My advice will depend on your situation and how many guns you plan on owning. If you’re getting your first gun, make that a 9mm Glock pistol, either Glock 17 or Glock 19, with Glock 19 usually being favored for concealed carry as they are a bit more compact. I wouldn’t go for anything smaller than that myself, given that you start to compromise on grip and sight radius, which in most people that I know of will negatively affect their shooting. There’s nothing wrong with 9mm and loaded with premium brand ammo such as Gold Dot it should perform well enough. 9mm is also cheap enough so that you can afford to take enough training classes so as to be proficient with your weapon. If you’re planning on getting a second handgun, maybe then I’d go for something a big more powerful, such as a Glock 31 or 32 in 357SIG. With a Glock 32 you have the exact same exterior dimensions as a Glock 19, but shooting a more powerful round. Is the stopping power worth it? Depends, for some people it isnt, for others its worth just so as shoot something with a slightly greater chance of incapacitation. Some people will go for even bigger or more powerful rounds such as 45ACP or 10mm, in an attempt to compensate for the reduced capacity. I think this isnt always a good idea if shooting a bigger or more powerful round means you’ll be less accurate, or even more relevant, lose accurate follow up shot speed. So, Glock 9mm for your first gun, Glock 357SIG if you want something that shoots ammo a bit more expensive but that also has a more power. There’s an interesting article posted over at artofmanliness.com about a person that traveled for 12 months all over the world with just a small backpack, taking a just a laptop computer, camera, couple spare set of socks and underwear and little else, focusing on high quality, lightweight gear. I think it’s a great exercise on minimalist travel and it goes to show how in today’s world you can basically live and travel all over the planet with a passport, credit card and some cash to move around. Of course this means you’ll be sleeping mostly indoors, eating out and sticking to urban areas. Such a minimalist approach obviously doesn’t include much in terms of preparedness, but given that in our community so many people stuff massive backpacks full of gear, in many cases items that aren’t needed, this would be a great place to start and only then build up from there. Although not as minimalistic, I have backpacked in Ushuaia, Tierra del Fuego, taking a 45L backpack. I did need to bring along a tent, sleeping bag, food and cookware since I spend most of my time outdoors, but I did learned to appreciate the freedom of not having a huge, heavy pack. One of the things I liked the most about the article was his focus on quality, light weight gear. A lot of his clothes are made of merino wool, which is an excellent material for this kind of task. Carefully selected clothes go a long way. In terms of shelter he went for a Sea to Summit Silk Liner, which isnt much and you sure can’t sleep outdoors in cold climates with this alone unless you work hard in improvising better shelter. It is better than nothing but a something along the lines of Naturehike Outdoor Sleeping Bag would be better if sleeping outdoors is expected. I completely agree on going for high quality clothes. Merino Wool base layers make a lot of sense given that merino wool is comfortable to wear, warm enough in winter, keeps you fresh enough in hot climates, wicks most away from your skin, reduces odor and has antibacterial properties. I’d go for Icebreaker base layer top and bottom. 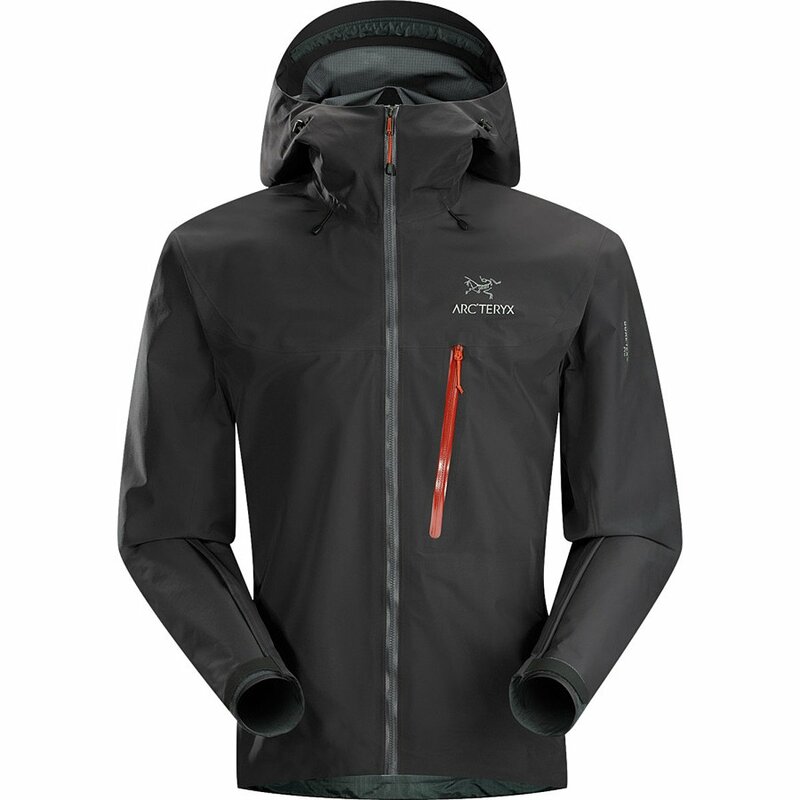 For a midlayer, a good softshell such as Arc'teryx Epsilon LT Jacket. A waterproof hooded jacket such as Columbia’s Watertight II Packable Rain Jacket or Arc'teryx Alpha FL Jacket would complete the setup to deal with most climates. As for pants, no question about it, 5.11 TacLite Pro Pant are what I would wear if I could only have one pair. They are tough, repel water, dry quickly, comfortable and with big enough pockets. They aren’t very warm but would do well with long underwear. One of my few criticisms would be his choice of shoes. 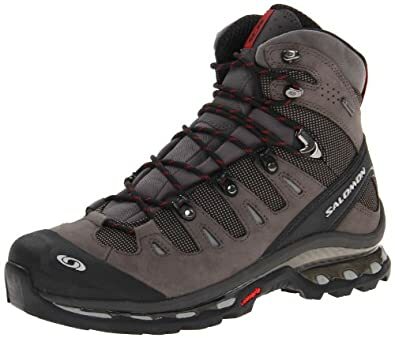 Light hiking shoes may be enough for walking from airports to hotels and walk around the city some but such footwear wont last when used extensively in more rugged terrain. Personally I would have gone for Salomon Quest with Goretex. Oh, and an Iphone? For traveling around the world?? Hell no. I’d go for a waterproof Samsung Galaxy S5 Active. This is an interesting resource. The interactive map lets you click for additional information. Check out your area and see how it rates regarding natural disasters. The Future of Preparedness and Modern Survivalism? According to some people, the end of the world is just around the corner. Because of one reason or another, an economic collapse, terrorism strike, rise of communism or planed globalist population reduction by the new world order, we are supposed to see a surge of disasters world wide. Even in developed nations expect cities to burn and the masses to riot any time now. And it’s the same BS doomers have been preaching for several decades now. But lets talk about the real fights ahead of us while we’re at it. You see, while in parts of the world war is destroying lives by the thousands every single day, and there is in fact true hunger in many countries, for those lucky enough to live in developed nations chances are they will be facing different challenges. No one knows for sure what the future holds but while it’s rather expected to see armed conflict and widespread war in developing nations, it’s not as common to see it in developed ones. I’m not saying it can’t happen, but it sure isn’t as common. While some survivalists and preppers believe the UN is about to invade any minute now and North Korea has millions of troops ready to parachute all across the west coast, I believe that in the future the threats will be of a different nature. The crime that already exists, will simply become much, much worse. You won’t need to live in some bunker hidden in the boonies because of a foreign army invasion, you’ll need to live in a well secured home because of the dangerous, constant violent crime that exists and you eventually grew used to. Alarms, reinforced doors, even paying for private security, it will no longer be a luxury but a necessity and the country will soon be divided between those that can afford to pay for it and enjoy the security that comes along with it and those that can’t. Chances are you wont get into a gunfight with the “supreme leader’s” goons, or even with a colorful band of survivors and raiders. 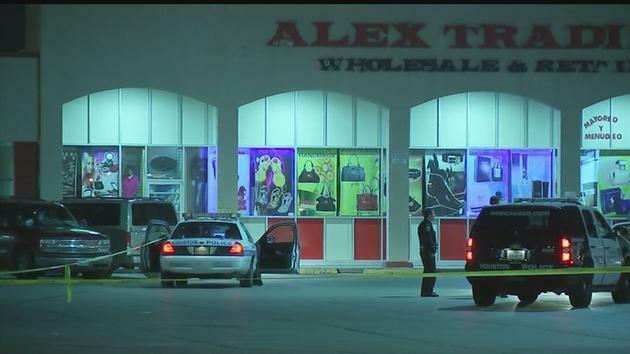 Chances are that most people that get killed by gunshot wounds in the not so distant future will die in the parking lot of some 7 Eleven or walmart when stopping to pick some diapers for the baby waiting back home, or shot during a carjack when driving to the office. Awareness and skill with the gun you should be carrying on daily basis already, that’s your best defense for this type of scenario. We all need food, don’t we? Food is the number one item to stock up on, the one we know we can’t live without. Whenever food is brought up in the context of survivalism, famine quickly comes to mind. People starving to death, people desperate for a plate of food. This is a very real, legitimate concern, but there’s a good chance food will be a problem in the future but in a different way. There’s a good chance food will continue to be the reason why hundreds of thousands die, but not because of lack of it, but because of its poor quality and excess. The true battle will be making sure our kids have real, healthy food and not the garbage often sold to us as food. As of right now, two thirds of American adults are overweight or obese and so are 30.4% of low-income preschoolers. Obesity is what will continue to kill people in developed nations and as the statistics already show us, obesity is worse among the poorest population in the developed world. Rich folks? They’re skinny. With more poverty, we’ll see worse fed people, because of the cheaper junk food, but most of all because of a lack of education. People will die because of the junk food they eat on daily basis, while the much healthier grains they bought for their “preps” sit in buckets waiting for the end of the world. The cost of medical care will continue to rise. On one hand we have companies brainwashing people into eating food that makes them sick, on the other we have the same investors putting money into the pharmaceutical companies that keep these same sheep alive. Breaking a leg, getting surgery or buying blood pressure meds, no matter what it is that you need it will continue to get more and more expensive, with a fewer percentage of a population capable of affording true quality medical care. Learn how to get healthy and stay that way now, before getting sick. This will probably be the worst tragedy of all. The collapse of the education system. True education and freedom of thought being replaced by some standardized scheme designed to mass produce cogs to fit the corporate machine. Sate owned corporation, of course, or maybe better said, Corporate owned State, with corporate preapproved elected representatives. The cost of education will continue to grow. First based on where you can afford to live, then based on the private school you can afford to send your kids to and finally based on the college their debt capability permits. And when the degree they overpaid for hardly helps to make up for the debt they amassed before working a single day in their lives, they’ll finally see that it’s more about friends, connections, and ultimately the real-world practical skills you have. You prepare for this by understanding that education is important, but not because of some piece of paper in a frame, but the actual education you get by studying and working, the kind of education you get maybe working on your own projects after school when you’re still in high school. Google and Microsoft are already paying kids NOT to go to school and join them straight away. Today more than ever, its important to work on what you’re passionate about from an early age, and getting the education and capacitation needed so as to do that. The times when you could just get a degree, hang it in your studio and that alone would always get you a job no matter what are long gone. As you probably already see, poverty is the common denominator in most of these topics. Inequality will continue to grow, with the ruling elite becoming even more powerful, even more controlling of all aspects of people’s lives and people’s liberty and quality of life dropping proportionally. I believe it’s stupid to worry about preparing for a dystopian American future where wars are fought on every street corner, and lean mean, hardened survivors fight one another over the limited resources such as food, fuel and supplies, that are still available. Have fun watching that movie but no, that’s not the future I see, at least not in the developed world. The future is already here, you just have to look: Overweight and dumbed-down by a poor, corrupted education system and even worse diet. Working on soul-crushing jobs to pay massive debts (their own and their parents!) along with inflated medical and education bills. Distracted by the latest reality TV show or latest cell phone launch, stressed by the growing crime and violence all around them and living with the constant uncertainty of imminent unemployment and growing inflation. Which one do you think is more likely? Which one do you find more scary? If 68 year old Kateryna Bilyk can train and shoot the way she does, so can you. This tough old lady is a role model for all of us. Happy New Year! You probably won't remember me but we had some email correspondence last year (I am in Canada) about your first book, which I loved. By the way, I bought your second book and loved that too. So... what do you think about the "mysterious" suicide of Mr Alberto Nisman in Argentina?! I am sure this will be your next topic on your website! It’s an absolute disgrace. That the prosecutor that was supposed to testify in front of the National Congress was assassinated the night before in his house just goes to show the level of corruption in the country. I mean, I had been following the developments for the last few weeks. Mr. Nisman had been very outspoken in the last few weeks about the evidence he had against the president, probably in an attempt to gain public recognition and therefore be safer in case of an “accident”. Well, it did him no good. They still killed him before presenting the evidence. It seems that he had managed to tap the phones of the presidential palace itself, and had hundreds of hours of phonecall recording showing the link between President Kirchner’s associates and Iranian terrorists, even evidence linking President Cristina Kirchner herself. Something that isnt being mentioned but is very important: Cristina Kirchner’s husband, former president Nestor Kirchner had appointed Alberto Nisman himself to investigate the AMIA terrorist attack of 1994. Nestor Kirchner had created a new commission to investigate the link between the Iranian government and the attack to the Jewish center. Soon after that Nestor Kirchner dies unexpectedly, supposedly due to a heart attack. It was always rumored that he had been assassinated, maybe by drug cartels. The funeral was public but with a closed coffin. This is extremely unusual given that politicians in South America (and most of all Peronist ones!) turn funerals into political statements, so that the face of the deceased is remember. Not in this case. The funeral was televised live with hundreds of thousands attending but with a suspiciously closed coffin. Make no mistake. The terrorists guilty for the attack are long gone and the only thing left was proof of the president’s cover up and associating with terrorists. This is why Cristina Kirchner has Alberto Nisman killed the day before he testifies in front of the National Congress. As Cristina Kirchner said herself not long ago. "One should only fear God... and me"
1) In your 2009 book you described a type of crime that arose in Argentina after the 2001 collapse--virtual kidnapping. In the past, this crime was unknown in the USA but the news here is now reporting that hundreds of such crimes have occurred recently in New York. [ Reuters) - In a new wrinkle to an old crime, hundreds of New Yorkers have been tricked into paying ransoms by wire transfer to callers who falsely claim to have kidnapped their family members, according to the FBI. In these "virtual kidnappings," scammers make random calls to find their victims, saying a loved one has been snatched and demanding the immediate transfer of small sums of money to have them released, the FBI said. Some calls feature screaming in the background to convince a victim of the authenticity of an abduction, the FBI said. This is very concerning and it’s a serious indicator as of where things are heading. Yes, if you get a call from someone telling you they have your wife while she’s right next to you or your kids and you can verify that they are in school in five minutes its not much a big deal. Not pleasant, but not dangerous. These kind of very rudimentary cons go along the lines of the Nigerian prince email. Some people will fall for it, while lots of folks wont. The problem starts when it’s a bit more advanced than a random phone call and there’s more and better intel involved. The key for a good virtual kidnaping is knowledge and timing. You have to know that the person is cut from communication with the family, you have to know there’s going to be enough time, and its even better if the family was not expecting to be unable to communicate. A couple examples that have happened before. A guy at the office has a mistress. Someone there knows that while the wife thinks he’s working, he’s really at the hotel, and he turns his phone off. Or maybe the mistress(or maybe it’s a prostitute) knows this, shares the information with accomplices. Lets say they have an hour to work with. They call, tell the wife they know who his husband is, maybe send a picture, and that she has one hour to give them $100.000. She calls his husband and is unable to communicate. She gets a call again demanding the money. She says she hasn’t got that kind of money, that she only has X amount available. This has happened with sudden, unexpected trips, even with new jobsites where there’s poor signal. It has happen with people that lost their phone or got their phone stolen (and the wrong person happened to catch that bit of information, or stole the phone themselves). Basically any moment when you’re a) unable to be reached b) some scumbag knows about it, it can be used against you. This is where it gets scary. While virtual kidnapping are still pretty bad in terms of getting money taken away from you, an express kidnapping is very much a real one. Basically the criminals just drive around and randomly pick up a victim based on looks, the car he/she drives, the clothes worn or even just the neighborhood the person is in. In Argentina they specifically targeted private school kids based on their uniform. When they so a private school uniform they knew that person at least had 500 bucks or so for school, so logically he was likely to have money. It got so bad that for some times many schools allowed pupils not to wear uniforms any more. So the victim is snatched, the family is contacted and money is requested for the vicitms safe release. There’s several reasons why express kidnappings are so common, in many ways so successful and hard to stop. 1)Time. Its fast, a couple hours, maybe a few minutes even. In general smaller amounts of money are requested, maybe what’s available at home or what can be accessed with a quick trip to the bank. With so little time there’s a chance the police wont even be contacted, and if they are, there’s not much they can do, organize and formulate a plan. 2)Mobility. Many times the victim isn’t even located in a specific spot. Victims are usually kept mobile in the same vehicle they were taken. Maybe they take him driving around ATMs before making the call for ransom. Criminals drive the person around town while making the call and arranging the delivery of money. Many times the victims cell phone is used, but by driving around its practically impossible to track them to the exact location once the phone is disabled. Combined with the fast nature of the crime, it’s unlikely that it will be even reported, let alone tracked. 3)Lack of connection between kidnapper and victim. In traditional kidnappings there’s a leak of some kind, or someone that knew about the victim and his financial situation. Usually a business partner, acquaintance or even family members are involved in the conspiracy. There’s no such thing in an express kidnap. The victim and kidnappers don’t know one another at all. This make it extra difficult for the police to investigate and find a suspect. Express kidnappings are still a daily problem in Argentina. I know of people that have been kidnapped and held captive for days. I even know one guy that was kidnapped on two occasions and escaped both! But express kidnaps are far more common and the advice given to the victims that bothered going to the police was always the same: just pay and get it over with. 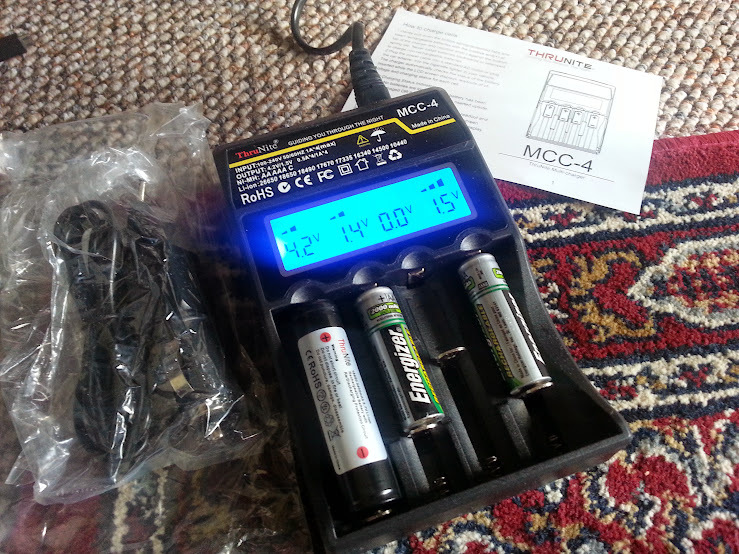 ThruNite MCC-4 Universal Battery Charger: A Pleasant Surprise! I have several chargers for my batteries but I’ve been looking for a nice one for some time now. I wanted a charger that could handle multiple batteries, Nimh and Li-ion batteries and I wanted it to be capable of handling them individually in each port. Most of the chargers I own are designed to charge batteries in pairs. This complicates things given that most of the flashlights I own run on a single battery cell. Ideally, I would have loved the charger to have a display showing the voltage and battery charge stage. You can imagine my surprise when the Thrunite MCC-4 got delivered to me this Friday, completely unexpected. 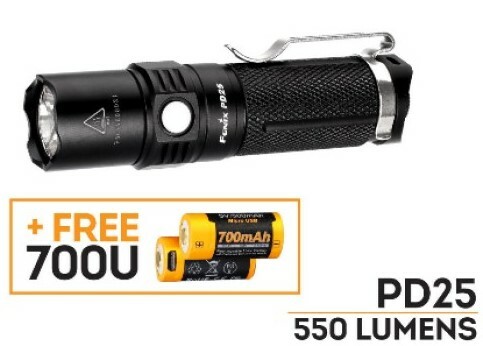 The Thrunite representative was sending me a new flashlight for testing, which I knew was on its way, but she decided to also send me a charger and batteries to try out as well. So far I’ve charged 18650 and a6340 Li-ions, which are charged up to 4.2V and AA NI-MH which charged up to 1.5 V. So far so good! The charger can handle AA, AAA and C Nimh and 26650, 18650, 18490, 17670, 17335, 16340, 14500 and 10440 Li-ion batteries. I t also comes with a car charger for charging in vehicle. I’ll do another review a few more months down the road but I’m honestly very happy with it. It’s exactly what I was looking for given the wide range of batteries I have floating around and the uneven number of cells that need recharging. 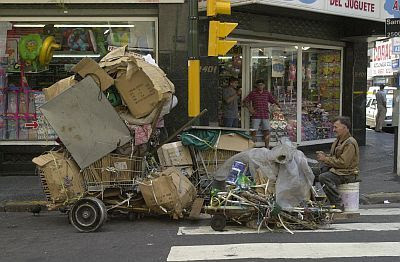 It is sad to see many of the problems Argentina has been experiencing after its economic collapse becoming more common in developed countries around the world. The world isn’t about to end, we’re not donning our leather jackets and holstering a sawed-off shotgun as we head to the Australian wasteland, but the world has changed, hasn’t it? When people ask me when did Argentina change from what it used to be to what it is now, I tell them that other than certain specific incidents, such as rioting, corruption scandals, resignations and defaults, there really wasn’t a specific date. You just wake up one day or contemplate the reality around you one day and you go “Damn, what the hell happened to us?” You see dollar-tree stores where you used to have bookstores, you see take-away joints of dubious quality where you once had fine restaurants. Malls close down or are left half deserted, with few patrons walking about. You see more people begging, the colors of the clothes worn fading as they get older and aren’t replaced with new ones, you see the stern faces, and then it hits you. You’re no longer living in the same place. The purpose of this series of posts is to help you understand what may already be happening in your city and what is likely to happen in the future. Argentina’s economy collapsed in 2001. 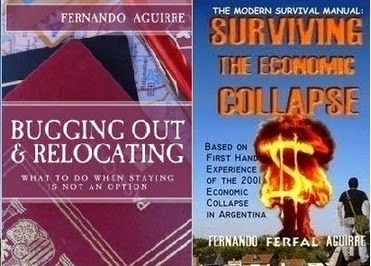 Today, experts mostly agree that the global economic crisis started in 2008, so Argentina has a seven year head start. Granted, hopefully your country won’t fall as hard as Argentina did, but you’ll see the similarities on almost all categories to a greater or lesser degree. As the economy suffers, so does the infrastructure. Everything from roads, power lines, sewers, flood prevention, traffic signaling, buildings, parks, bridges, it all requires constant maintenance. This is of course very expensive, and one of the more obvious signs of bad economic times is bad infrastructure all around. Anyone that ever traveled to the 3rd world has probably seen it: There’s not much urban coherence, everything seems to be just thrown together without consultation and a total lack of planning. Power, TV and phone cables hang over your head in all directions. Just like power fails each summer, communications aren’t very reliable either. Public buildings are in particularly poor shape. Ironically enough, this is the University of Buenos Aires, where I studied Architecture. There’s no central heating or air conditioners, the elevator is famously dangerous when it works and the toilets are in pitiful condition. You have to get there on time to find a bench to sit on and you better keep an eye on your belongings because they will get stolen right in front of you. The problem is again, lack of investment and infrastructure. There’s no money to train and keep enough rescue personnel. There’s practically nothing done in terms of prevention and education. Everything from widespread rioting to wildfires and pandemics, it’s all handled poorly to say the last. Regarding floods, there’s enormous amounts of litter on the streets which clog storm drains. Storm drains are also made of pretty heavy metal so… remember the inflation problems, along with crime and unemployment mentioned in Part I? Storm drain grated inlets are usually made of heavy iron. That iron fetches a nice price when sold, so these are constantly being stolen all over the country. Everything from statues, historic plaques in monuments and even doorknobs have been stolen because of the price of metals. If flood prevention investment is a problem in developed nations, you can imagine how bad it gets in a place like Argentina. Without hurricanes or even serious storms, just heavy rain is enough to end in tragedy. In April 2013 a flood in the capital city La Plata claimed over 100 lives. As years go by and the infrastructure is not only not upgraded but keeps deteriorating, floods are yet another problem people in Buenos Aires have to deal with. This problem is already occurring in USA. Less money also means less security on the borders. In the case of Argentina the problem was twofold. On one hand there not even an attempt to secure the borders, so anyone walks into the country. On the other hand there’s no political intention to do so either. People from Bolivia, Peru and Paraguay, the poorest northern neighbors, just walk into the country, get a local ID and sign up to collect benefits. They of course vote with this in mind, so the current Kirchner government knows that each immigrant vote is a vote for them. My wife for example, she had to renew her national ID. She waited in line for several hours and was handed a number, told to come back the following day. At the same time and right next to her line was another one for immigrants. Their line moved quicker and they got their ID the same day. Why does it take longer to renew an existing ID for a citizen while an immigrants with nothing to his name gets and entire citizenship registration and ID documents issued immediately? Because it was elections time and they wanted to make sure all the immigrants from Peru, Bolivia and Paraguay had their papers ready to vote. Maybe the Americans reading this can find some similarities here too. Argentina is no stranger to terrorist attacks. In 1994 the Argentine Israelite Mutual Association was attacked with a car bomb, 85 people were killed. The Israeli embassy in Buenos Aires had already been bombed in 1992, leaving 29 people dead. These attacks have never been solved, and there’s an ongoing scandal involving the Kirchner government and the Iranian government who apparently plotted together to protect those responsible. Corruption, lack of funding and negligence provide greater opportunities for terrorists. For countries with an interventionist foreign policy, the risk is even greater and this should be considered as a potential risk in years to come, especially in emblematic cities and locations. Just like the infrastructure falls apart, so does culture. The changes here aren’t immediate, but they are visible. You notice people being more rude in general, but also less educated and more primitive than they used to be, which is quite sad. With the increased poverty you see a clear deterioration of culture in general. While there are honorable attempts in the field of arts, the lack of funds means artistic education and investment suffers greatly in spite of the good intentions of many. You can see some buzz regarding street arts, informal dance and improvisation, but in general a financial crisis will impact culture greatly. The need to earn a living becomes a top priority for most. People that used to travel abroad find it harder to do so. Fashion, ideas regarding arts and design, it’s all less available than it used to be. Books for example, they become harder and harder or get. Five years ago when I traveled abroad I ended up bringing back two suitcases to Argentina. One of them was full of books. Thanks to the import restrictions, books have become very expensive in Argentina and the offer available is pretty limited. If you try ordering online you’ll find yourself having to travel to the international airport to pick it up from customs. You’ll also have to pay a 50% extra fee for importation and you’ll have to waste most of your day waiting in line to get it. Little by little, you see people becoming more ignorant and it shows. It takes a bit longer, but after 14 years you can see an entire generation that basically grew up knowing only the post collapse Argentina, barely recognizing the shadows of what was once the most sophisticated and culturally rich country in Latin America. Most 20 year old can barely read and write, if lucky, and those that consider themselves intellectuals simply regurgitate the Marxist nonsense they’ve been indoctrinated with thanks to the public education programs. In many ways the media reflected what was happening to society and culture. Sensationalism became more common in news reports. It didn’t help that the level of violence was already bad. With people getting killed and kidnaped on daily basis it kept getting harder and harder to shock the viewer. Eventually you didn’t pay much attention to the news because it repeated itself so much. The state managed TV channel became completely worthless, just a channel for propaganda that never actually reported anything. As time went by we saw the government adopt a new strategy: Buy or nationalize channels and various media that wasn’t in tune with the government. Eventually they regulated this strategy of theirs with a new media and telecommunications law passed in 2009. Only two media companies of relevance are left in the country that aren’t directly or indirectly controlled by the government. Censorship has drastically increased in Argentina in the last decade. Not only does the government control most printed media, radio and tv channels, those they don’t control are constantly harassed and journalists are threatened or attacked. The fear of speaking against the government is one of the worst tragedies and should be considered an important red flag to look for. Nestor Kirchner reached the presidency of Argentina in 2003 exclusively thanks to the endorsement of Eduardo Duhalde, a Peronist politician with great power in Buenos Aires who had stepped up after Fernando de la Rua resigned and four other politicians resigned after taking the job. Just a few months after Kirchner was elected, it was soon clear that a very corrupt and authoritarian person had been placed in power, a typical Peronist populist leader. The Kirchner government was particularly bad for the country for several reasons, but most of all because of its extreme, in your face corruption. Nestor Kirchner wasn’t the first corrupt president the country had ever seen, but he sure was the worst, the least shameful about it and the one that has robbed the most. Contracts would be handed over to the president’s own business associates. Public money would be shamelessly sent abroad to privately owned accounts “for safe keeping”. Family and friends would be placed in key, high ranking government positions in spite of having no qualifications at all for the job, the most extreme case of this being his own wife Cristina Kirchner taking office after his first period ended. During hard economic times, during troubled sociopolitical events, extra caution should be taken so as to not place populist politicians in strategic positions, especially the presidency. This type of politician is the opposite of the honest , professional one actually qualified for the job. If you have any comments of questions, leave them below. Part III will be posted later this week. 1) Ferfal, the UK's Financial Times has an interesting article titled "A Spanish exodus to the cities leaves a desert in its wake". 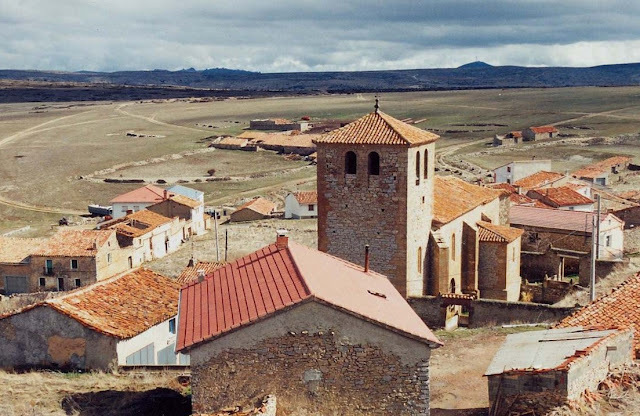 2) Some excerpts from the article: [All around Motos, in Spanish inland provinces such as Teruel, Guadalajara and Soria, villages are gradually being abandoned. A process of depopulation and rural flight that has lasted more than five decades is drawing to its seemingly inevitable conclusion. Rural flight is very common. Given Spain’s economic crisis, its no wonder that you see what you typically see during an economic crisis, which is people leaving small, hard hit towns and moving to bigger cities where there’s more job opportunities. 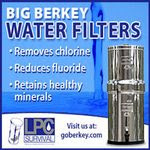 I know, its ironic because many in the prepper community seem to think that it will work the other way around. Still, doing a bit of research quickly shows that the opposite is what happens the most in these cases. Let reality and previous events guide your preparedness plans folks, not some survival fiction novel!